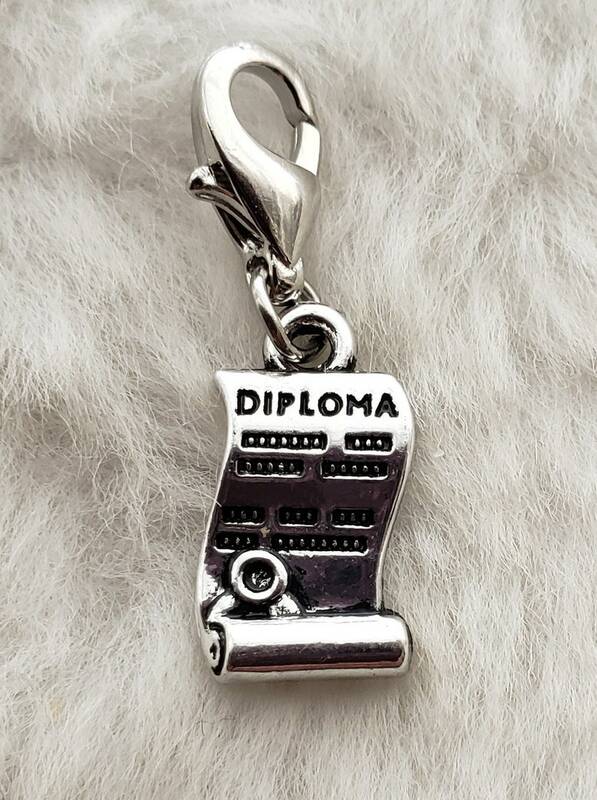 This graduation diploma charm is perfect for the upcoming graduate! Design a necklace or bracelet for her with our charms and chains! Are you a teacher looking for an inexpensive gift for your graduating class? Send a convo so I can help you personally design a memento just for those students! Design your own charm bracelet, necklace or ankle bracelet! This charm comes ready-to-wear with a 12mm lobster clasp attached if you wish, or, we can leave the lobster clasp off. Make your selection at check-out.